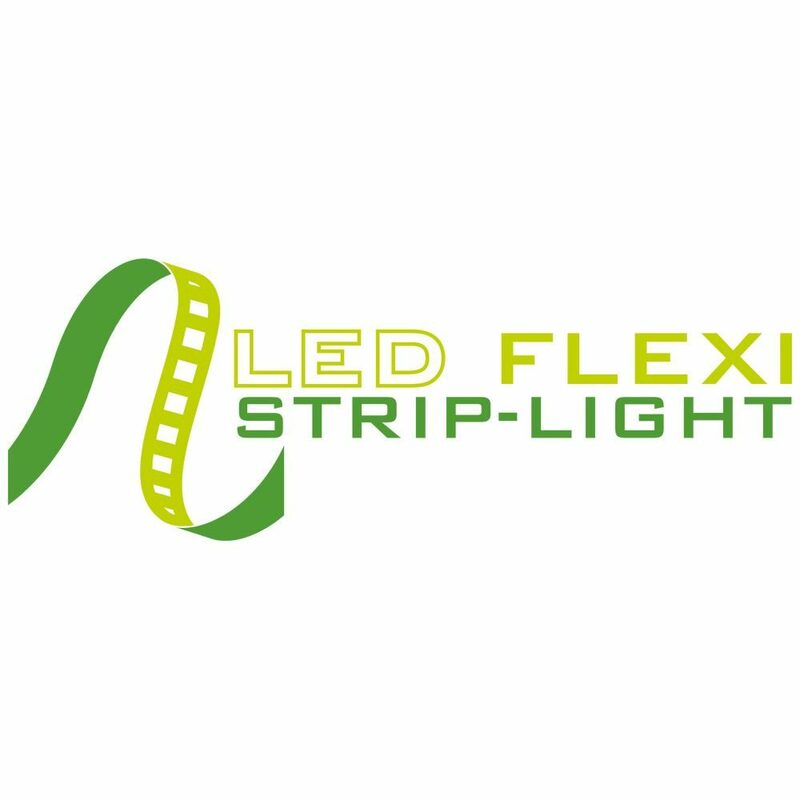 Flexible Strip-Light is an incredibly versatile lighting solution - For use around the home, kitchen, bedroom, entertainment room, or can be used to create a lighting feature or signage. With its “3M” self-adhesive backing; our Flexible Strip-Light can be fitted to almost any surface to create stunning lighting effects without the need for a professional electrician. 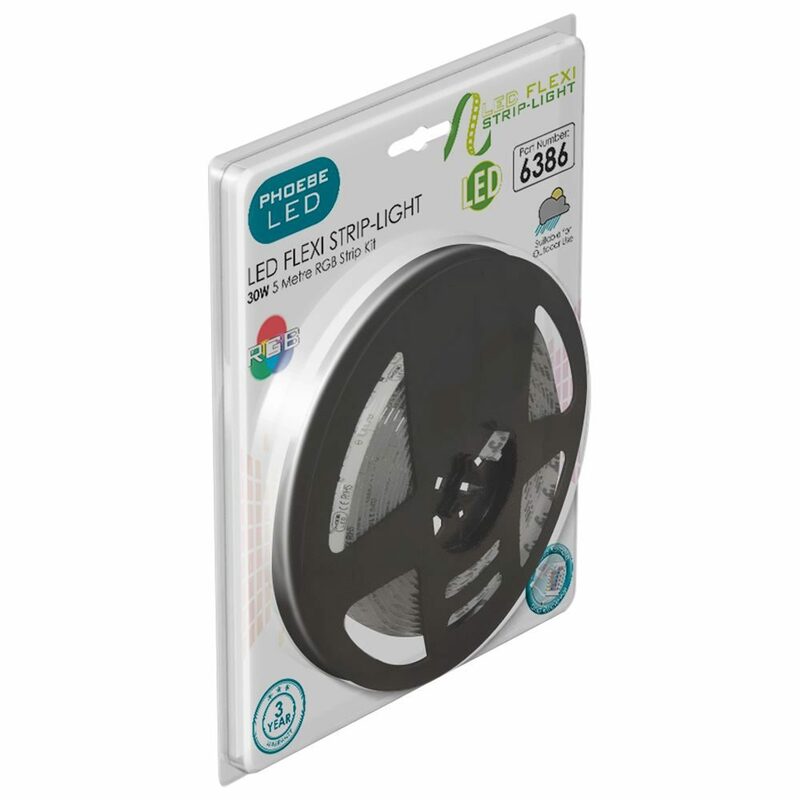 Kit includes a 5 metre reel of LED strip-light and all necessary components for easy installation. 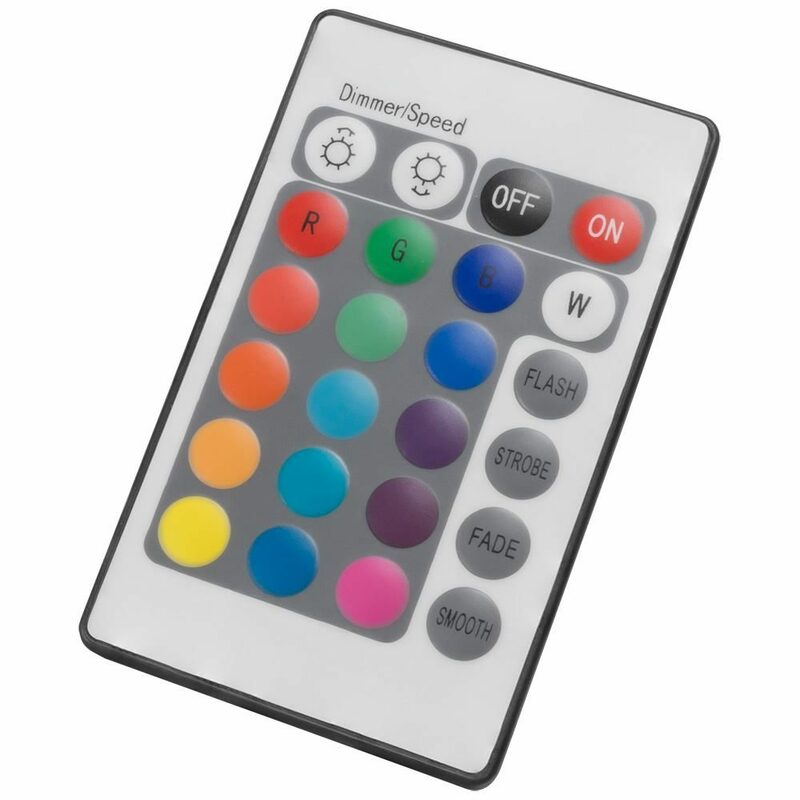 Infrared remote control and receiver provides colour change, dimming, strobe and flash functions. 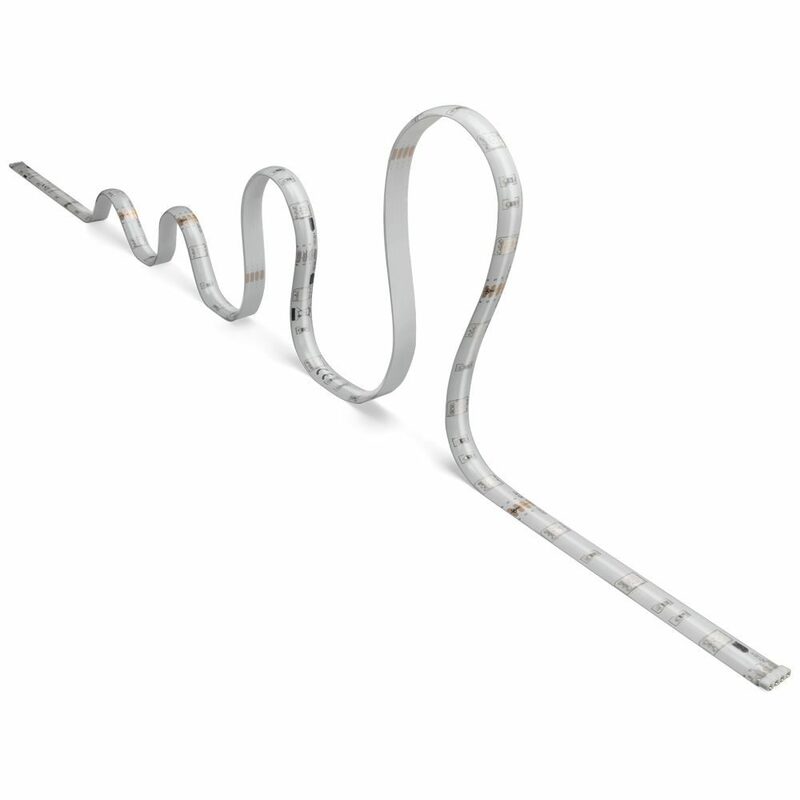 LED Flexi Strip-Light is IP65 rated for outdoor use and can be cut to length to suit project requirements. Integrated power supply is IP20 rated and must be placed in a suitable IP65 enclosure or junction box if used outside. 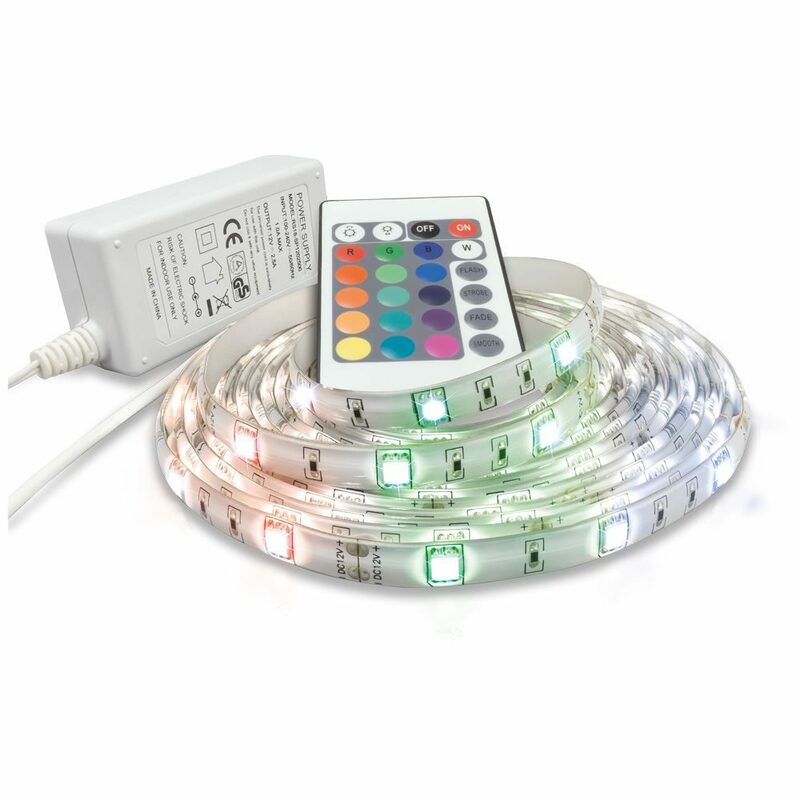 Contents: 1x LED Flexi Strip-Light (5m) RGB , 1x integrated power supply and power lead, 2x connection leads, 1x RGB remote control and 1x RGB receiver.